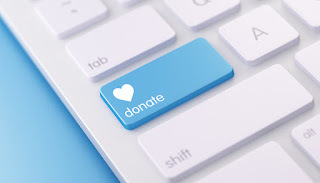 In addition to the good service that you will be doing others (which has been proven to make a person feel better about him- or herself) and the exposure that can from working with charitable causes, giving back to the community can help you grow as a voiceover actor. That is, if you choose the right type of community project. The ones that I have in mind, and which I would greatly recommend to all of my fellow peers, involve children. Whenever you get the opportunity to help out in a classroom, participate in a story hour, or perform as part of a school assembly, you will be doing good for others and for yourself. How? All of these tasks involve speaking aloud, while providing a level of entertainment. If you hope to keep kids engaged, you are going to have to be on top of your game. Children’s books are generally written with a lot more visual- and verbal- animation intended than books written for an adult audience. Furthermore, children are often the most honest- and harsh critics. You can learn a great deal about yourself, practice your character reading, and really get a feel for what works with an audience and what doesn’t when you volunteer your time to the kids in your community. Don’t know where to begin? Call up the local elementary schools, daycares, nursery schools, and libraries to ask about local story hour programs. These are often the best opportunities to work with children in a way that can benefit your career. This also provides those organizations the opportunity to invite you to participate in something of a similar nature – classroom presentations, assemblies, etc. Don’t get discouraged if the opportunity to volunteer in this manner doesn’t arrive immediately. Story hours are, in many locations, seasonal. Get your name on the list of available readers. In the meantime, if you find that you are in a slow slump with the voiceover work, you could always consider substitute teaching in an elementary school classroom for a few days. Call the office of the school for more information on the availability of local substitute teaching opportunities. And , of course, there are usually opportunities to teach or entertain kids at your local church and related church community activities.